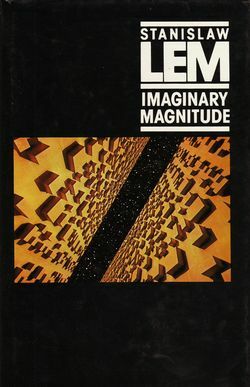 In accordance with the author’s wishes, this English-language edition og “Imaginary Magnitude” includes all the material that appeared in “Wielkość urojona” (Czytelnik, Warsaw, 1973) and also incorporates “Lecture XLIII – About Itself” and “Afterword”, which first appeared in “Golem XIV” (Wydawnictwo Literackie, Cracow, 1981). === pp.97-248: Golem XIV: Foreword; Introduction; Instructions; Golem’s Inaugural Lecture – About Man Threefold; Lecture XLIII – About Itself; Afterword. This page was last edited on 25 February 2012, at 14:01.